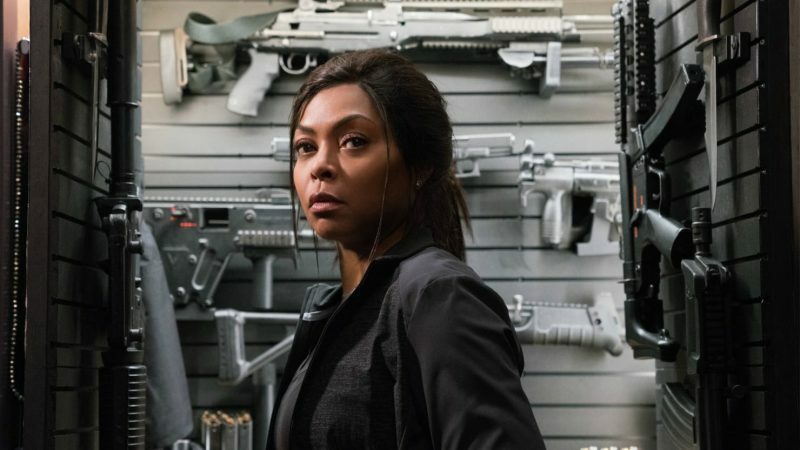 "No advance buzz, weak action scenes, amd too short of a runtime makes Proud Mary lackluster and forgettable." Proud Mary did not have any advance screenings, so no word of mouth was available to create any buzz, positive or negative for this film. Its lead, Taraji P. Henson is an Academy Award winner and Emmy nominee, who also had a huge hit last year with the Academy Award nominated Hidden Figures. So it is highly unusual for a studio like Sony to provide such little promotion for one of its films. This behavior is typically only practiced when the film is a dud. Fortunately, Proud Mary is not a complete dud, but its’ not great either. Mary is a Boston based hit woman, whose unconventional life takes a turn when one of her jobs is the father of a 12 year old boy named Danny. Danny (Jahi D’allo Winston) ends up becoming the errand boy of a drug lord, who Mary kills when she finds out the he is abusing Danny. This kill causes her rift with her boss (Danny Glover) and his son (Billy Brown). Tensions are also heightened between Mary and her employers, when they figure out Mary is now raising Danny, instead of killing him as originally instructed. Proud Mary has a lot of flaws. There’s a lot of huge plot holes in this movie. One is why Mary waited a year to find the boy that she let live. The film addresses that she has been watching him and making sure he’s safe, but why bother to keep him alive if she’s not going to take care of him or at least help him find a good home, Danny would have never had to live with a drug lord in the first place. Mary is an assassin, and her story is addressed briefly in exposition by Glover as to how she became one in the first place, but none of this is ever seen. It would help the audience see why she was so drawn to Danny in the first place, but it would have given her some depth to her character. The action scenes are weak. Choppy, containing no weapons or fight choreography, and in some shots look like cartoons. Mary is supposed to be raised in a family of assassins; it would have been nice to see her display some more of her skills. It contains typical action movie clichés, for example the former lover who she cannot let go of as well as the one last job the she needs to complete to finally get out for good. And the climax was lazy, the audience could guess what was going to happen about 10 minutes into the film and when it arrives it is handed to them in a nice neat little bow. 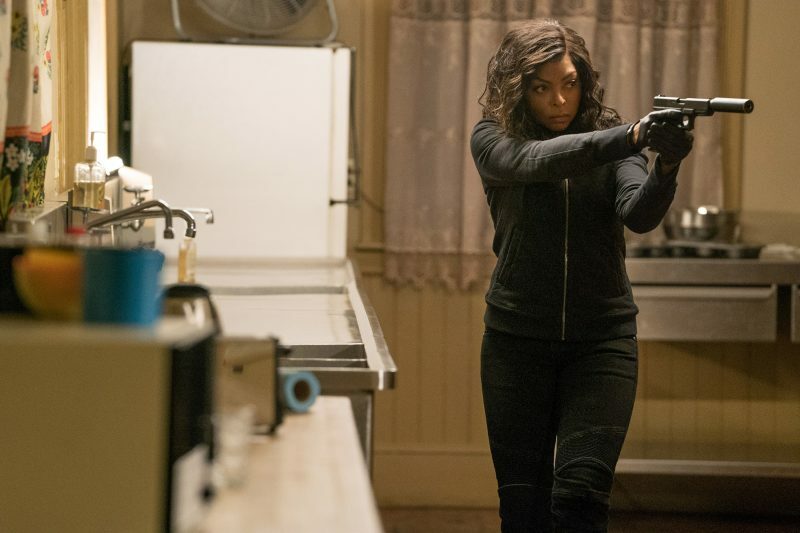 [caption id="attachment_102083" align="alignnone" width="800"] Mary (Taraji P. Henson) stalks her prey in the kitchen of the Kozlov mansion in Screen Gems' PROUD MARY. [/caption] There are couple of positives. 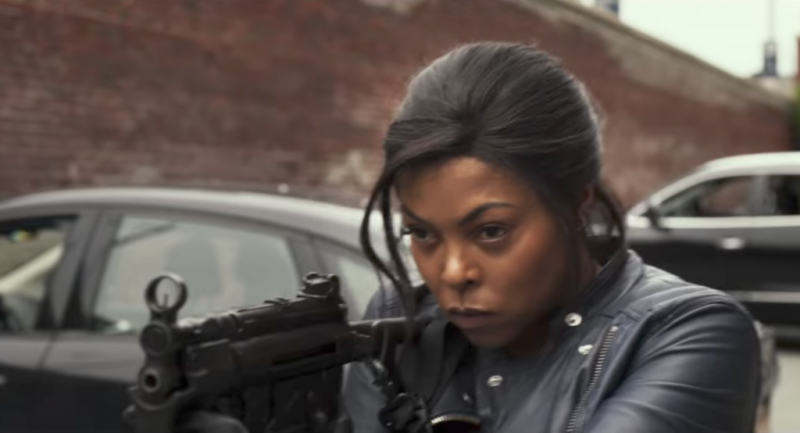 Taraji P. Henson brings a lot of energy to the role. She brings a lot of exuberance to an otherwise dull character. She also has great chemistry with young Winston. Jahi D’allo Winston, does more than hold his own on screen with Henson, he is a good actor who brings some simplicity and complexity to his character, without his casting, the movie would not have worked at all. But that’s about it. Proud Mary is otherwise forgettable. It had the makings of a decent action flick, but with a run time of 90 minutes, there should have been a lot more work done to make it more…fun.